When OnePlus 5 was announced with a price tag of over Rs. 30,000, everyone expected that it won’t replicate the success of its predecessors- the OnePlus 3 and 3T. Turns out to be, the OnePlus 5 is now the best phone in the Indian market-beating several other flagship phones hands down. And now, the Chinese company is rumoured the launch a successor to it (feels like already), but it has been nearly six months since the launch of OnePlus 5. The OnePlus 5T, aka, the successor to the OnePlus 5 is making rounds on the web for quite some time now. 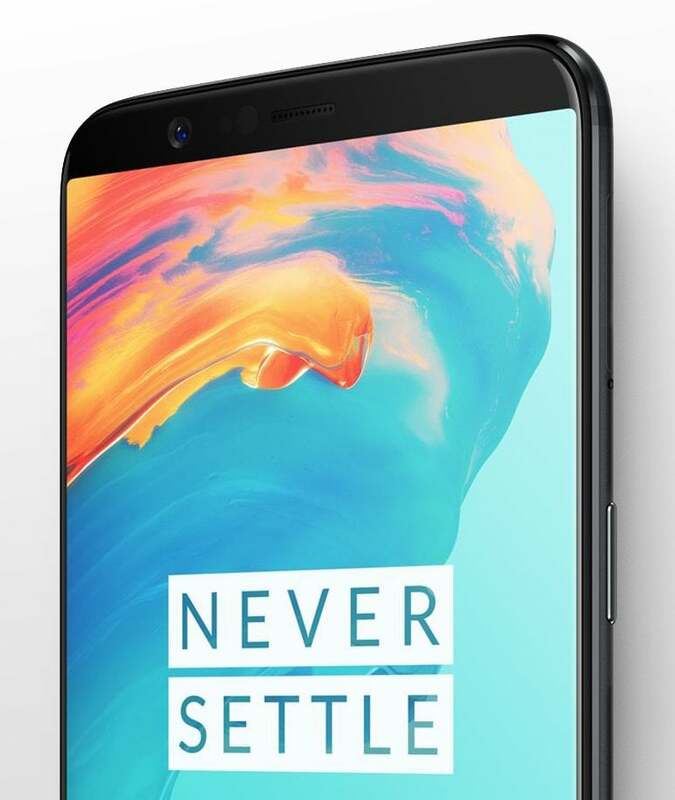 Today, a new render of the OnePlus 5T was posted by the reliable Evan Blass. OnePlus has a reason to launch the OnePlus 5T- enter the bezel-less bandwagon. However, the OnePlus 5T is expected to feature several other major changes as well including a major boost to the camera setup. As you can see in the image, the OnePlus 5T has a bezel-less screen (almost) with minimal bezels on the top. It is expected to be a slightly revised version of the Oppo R11S, which will be launched in China a couple of days later from now. 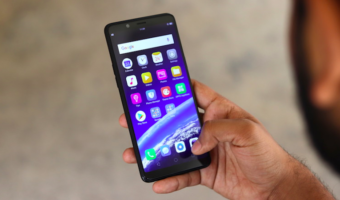 The 5T is expected to have a 6-inch Full HD+ display, and as usual, the fingerprint is rumoured to be moved to the back of the phone to keep the bezels as minimal as possible. Apart from the display, the OnePlus 5T is expected to have a major bump in the camera setup. Both the co-founders of the company have been teasing the photos captured by an unknown smartphone, and it could be the OnePlus 5T. Going by the rumours, the OnePlus 5T will come with dual 20MP cameras at the back. Earlier rumours even suggested a dual selfie cameras, but going by the latest render, there’s a single camera on the front. Nevertheless, OnePlus might offer a Portrait mode for the selfie camera as well to compete with the likes of Google Pixel and Huawei Mate 10 series. 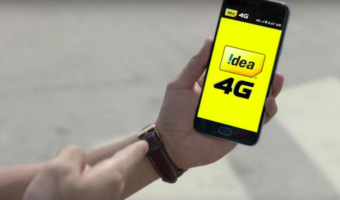 Besides these changes, the 5T is expected to remain largely similar to the 5 with the same Snapdragon 835 processor, 6GB/8GB RAM variants, but it might come out with Android 8.0 Oreo on board. Furthermore, OnePlus might bump the battery capacity as well in the 5T, as opposed to the 3300mAh unit seen on the OnePlus 5. 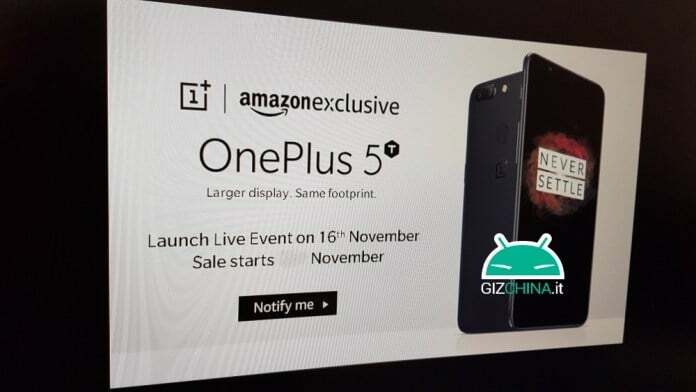 Lastly, a Chinese website leaked an Amazon image of the smartphone, which shows the tagline as ‘Larger display, same footprint.’ The image also states the launch live event as November 16, but there’s no confirmation yet from OnePlus on the launch though. There’s no water proofing on this one too. That’s probably a deal breaker to many.